Have you ever heard the word "Hatsumode" or tried it in Japan before? Today, tons of people in the world love to watch Anime or Manga, so you may know what it is like. Hatsumode is first shrine (temple) visit, which most Japanese people do on New Year's Day or soon after that during Oshogatsu. Strictly speaking, Shrine is the place for Shinto religion, on the other hand, Temple is the one for Buddhism. 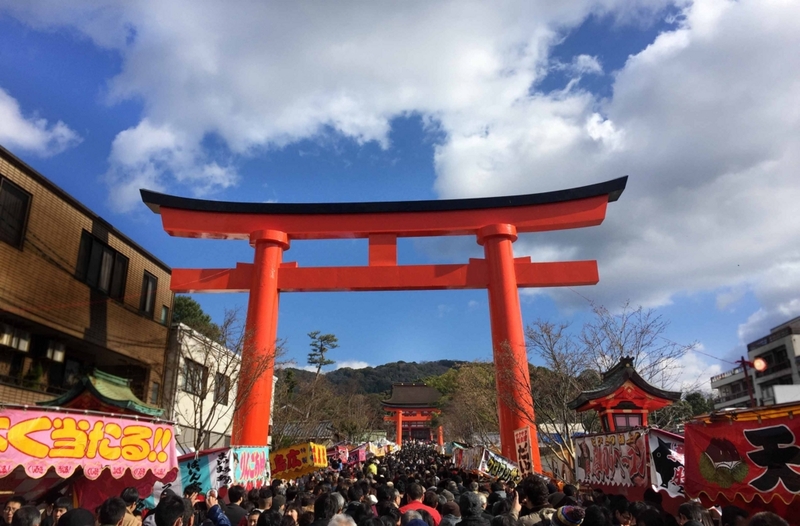 It may be difficult for you to distinguish the differences but if you see the red gate (Torii) that's a shrine. Oshogatsu is Japanese holiday season starting from New Year. We usually spend time with family in our hometown. 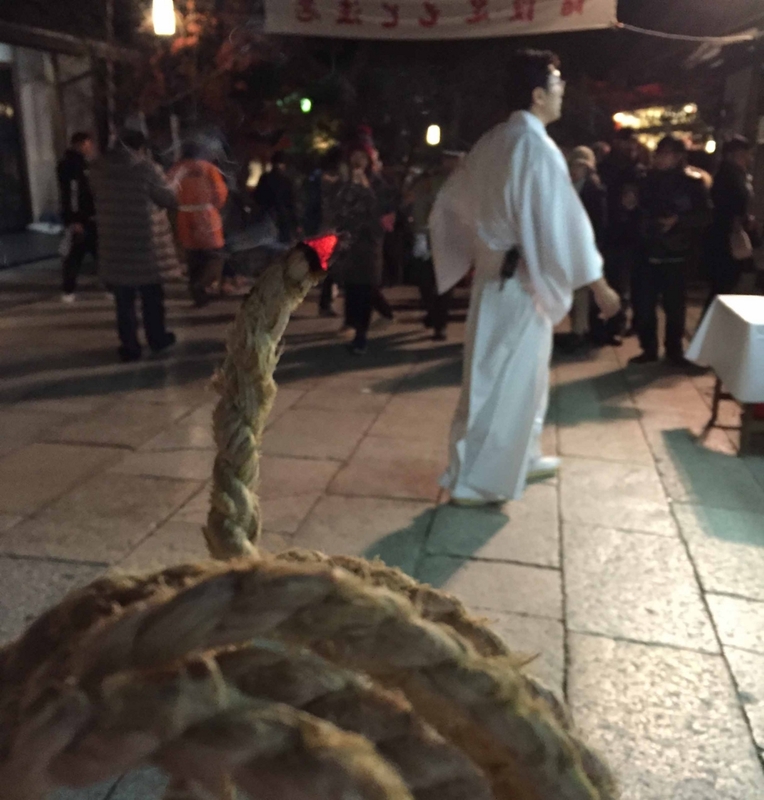 During Oshogatsu, we visit a shrine for Hatsumode. 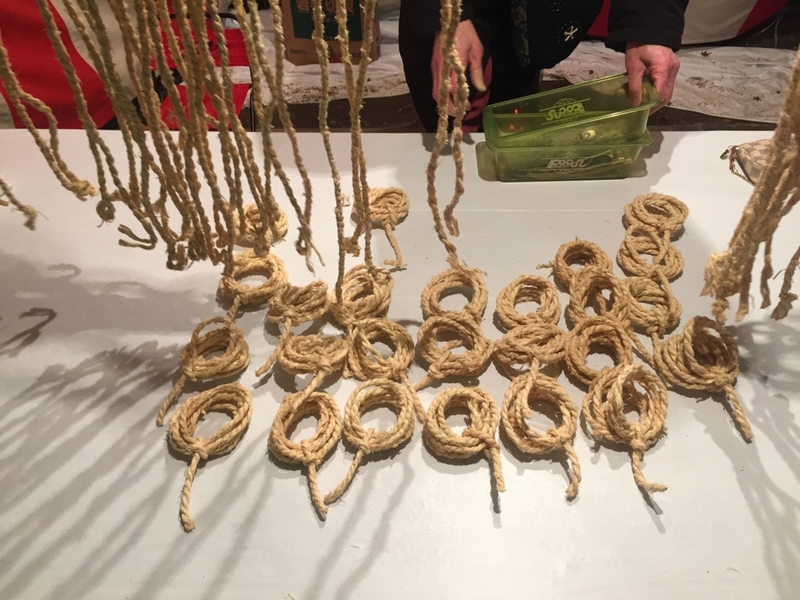 It's one of the most traditional customs in Japan and also a popular event for dating among young generations these days. What we do there? This is the most important thing for Japanese people. We pray for New Year's luck in front of main inner shrine. People throw the coin except for 10 yen into wooden box and then pray. It's not so religious action but a New Year's ceremony for us. 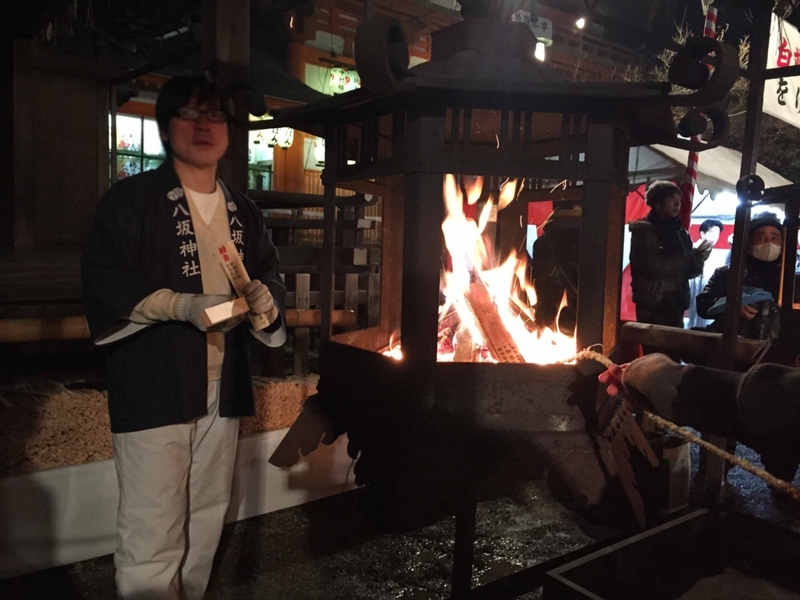 So if you visit the shrine/temple during Oshogatsu season, why don't you try this? Of course, you can use US dollars or else but I recommend you to use Japanese coin. 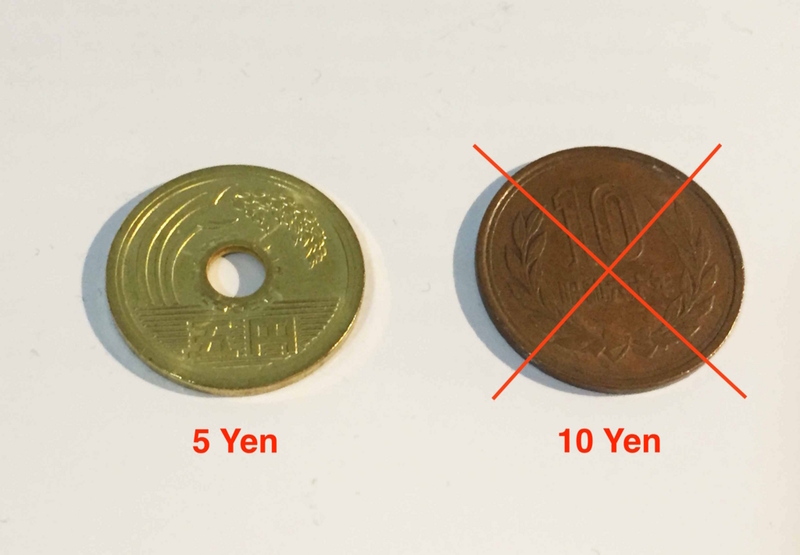 Use 5 yen coin (the left gold one) and don't use 10 yen coin (the right bronze one). This is why the sound of the word "5 yen" in Japanese (Go en) means opportunity or good destiny and 10 yen (Too en) means the chance won't come soon. During Hatsumode, we have one more thing to do. 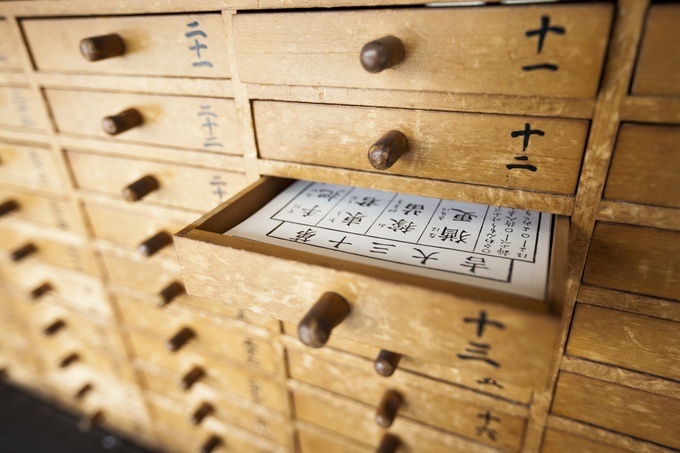 It's Omikuji, Japanese paper fortunes. We shake the wooden box and draw the small sticks with a number. Then we can ask Miko-san, shrine maiden/staff for paper fortune with that number. Usually it costs 100 yen to 300 yen. There are many beautiful shines/temples in Japan. Still, Kyoto is the best. 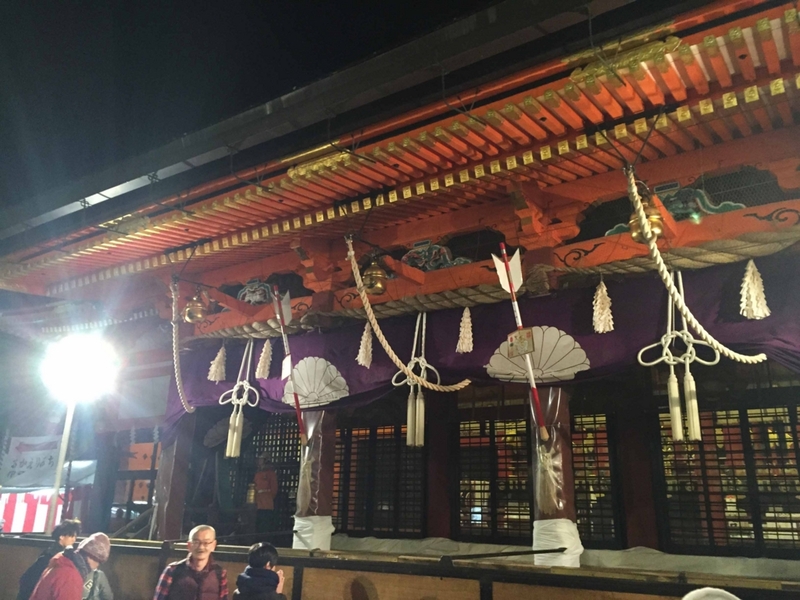 I highly recommend you to visit Yasaka Shrine in Gion Sijo, Kyoto. This shrine is really famous for its beauty and history in Japan. You can enjoy its magnificent atmosphere and beauty of Kyoto city, too. 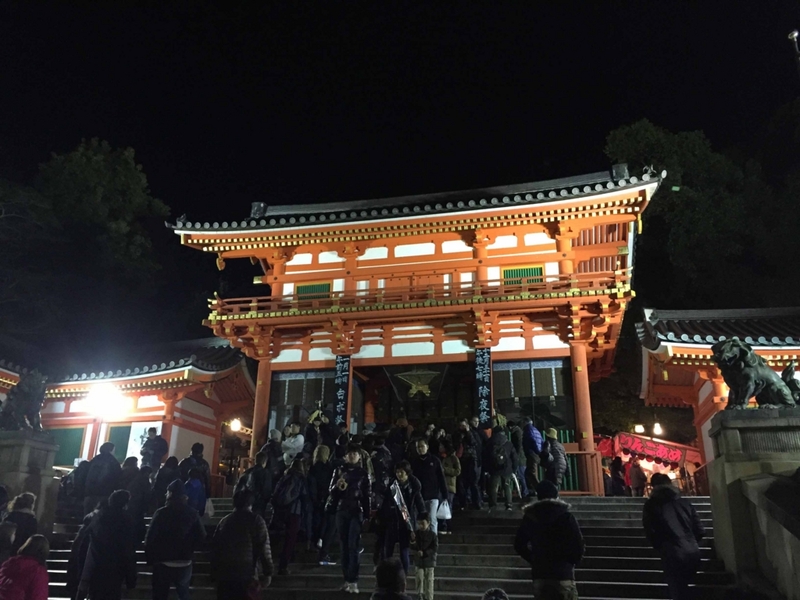 If you visit there from night on New Year's Eve to New Year's Day, you can see the traditional New Year's Eve ritual of Kyoto praying for sound health in the New Year. In the past few years, not only Japanese local people but tourists from overseas, especially from China or Korea are rapidly increasing. It's great for Japan but if you visit there let's understand and keep rules there. Especially when you visit there at night on New Year's Eve, it's the rule not to speak loudly. People enjoy the calm and magnificent atmosphere. 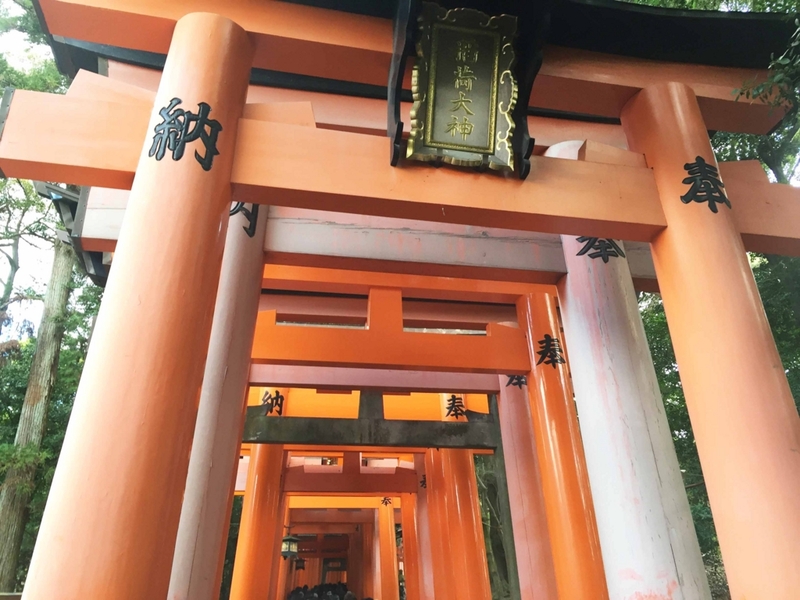 Fushimi Inari Shrine is also one of most popular place among tourists. From 2015, a big screen was set right in front of Torii, the gate which is boundary between the spirit and the human worlds. In my opinion, it's really sad thing. As we enjoy the traditional atmosphere, that screen is too annoying. It's up to you but I recommend you to visit other traditional shrine/temple in Kyoto. Anyway, Kyoto is the best and you can feel everything is amazing there.